Could Shared Ownership Be the Right Fit for You? 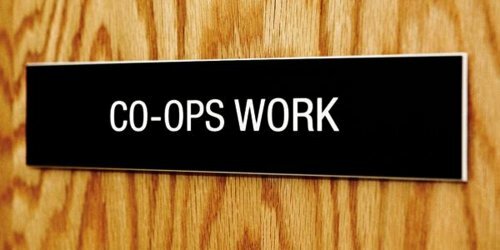 Co-operatives are a distinctive and highly successful form of social enterprise. One or more stakeholder groups (consumers, employees, entrepreneurs, and/or other organizations) jointly own and democratically direct the enterprise to meet their objectives. In Ontario alone, we have more than 1,200 co-operative enterprises and organizations in 400 communities with 15,000 employees. Register for Could Shared Ownership Be the Right Fit for You? In this series of three workshops, participants will learn about the distinctive features and values of co-operative enterprises; how these enterprises are structured and incorporated, with a focus on employee-owned co-operatives (worker co-ops); and how succession planning can be used to transform an existing business into a co-operative enterprise. Participants will also have opportunity to engage with co-op practitioners and entrepreneurs from across Southern Ontario. Workshop 1: Could Shared Ownership Be the Right Fit for You? The Shared Ownership Workshop Series is an initiative of the Ontario Co-operative Association via the Niagara Co-op Network, thanks to funding from the Trillium Foundation of Ontario.